How Far is Golden Treasure? Golden Treasure is located in Chennai. This project comprises of all amenities that today's property buyer would aspire to have. The Project is a part of the suburban locality of Ambattur. Ambattur is linked to neighboring localities by wide roads. 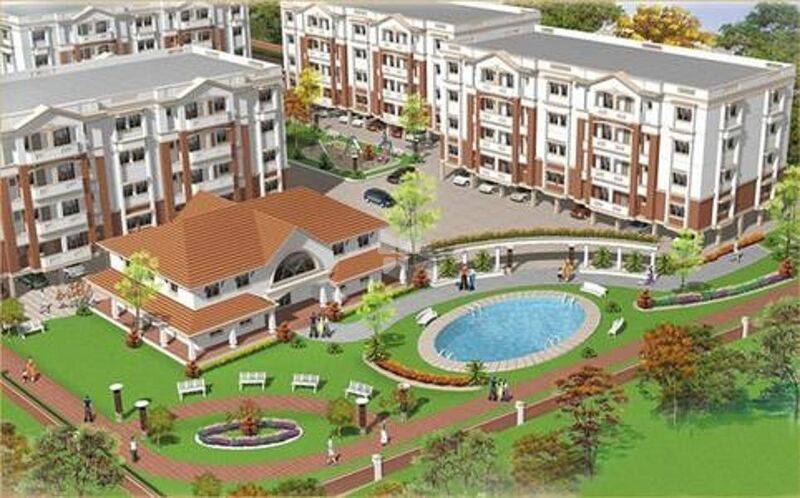 inhabitants of the locality have easy access to public utilities like schools, colleges, hospitals, recreational areas and parks. The facilities inside the project are thoughtfully created. RCC framed structure with brick masonry Walls plastered smooth and painted with cement paint. 12" x 12" Ceramic Tiles Plain Series - Johnson or equivalent. Main door - Teakwood panel door Internal doors - Teakwood frames & shutters with plywood panels. Windows - Teakwood frames and glazed shutters. Polished granite platform with stainless steel sink with drain board (18" x 36") Glazed tile skirting 2 feet above the kitchen platform. Provision to fix Air-Conditioner, Television and Telephone points Niche for wardrobes (without shelves) and loft if required. (Regular range), Heavy Duty PVC Pipes where required, Power Points for Geycer hot/cold plumbing. Power backup for common amenities and for 500w in each flat. Compound walls with appropriate gates. Golden Homes Pvt. Ltd. was established in the year 1986. Backed by a dedicated team of professionals, strong capital base, extensive experience and expertise, Golden Homes primarily focuses on the residential sector. The Golden Opulence one of the under-construction luxury apartment project by the builder located in poonamalle Chennai. With Over 31 years of experience and impeccable track record, it is one of the most reliable and trusted name for high quality premium homes in Chennai. A pioneer and innovator in the residential sector, since its inception, Golden Homes has to its credit various renowned landmarks spread across Chennai and now has over 5.5 million sq. Ft. under various stages of development. The Golden Aura is one of another under construction project by the builder located in Anna Nagar West, Chennai. Expected to be delivered by Dec 2020 which is built with spacious 3 BHK Flats. The builder has a tie up with the major nationalized banks and when a user is “Buying a home with Home loan” then it is really a hassle-free situation with Golden Homes Pvt.Ltd. Golden Platinum 65 situated in anna nagar west , Chennai which is a luxury and spacious 3 BHK apartment project. The builder is one of the renowned builder around the locality of Chennai and has been developing many renowned residential complexes around the city and its suburbs.